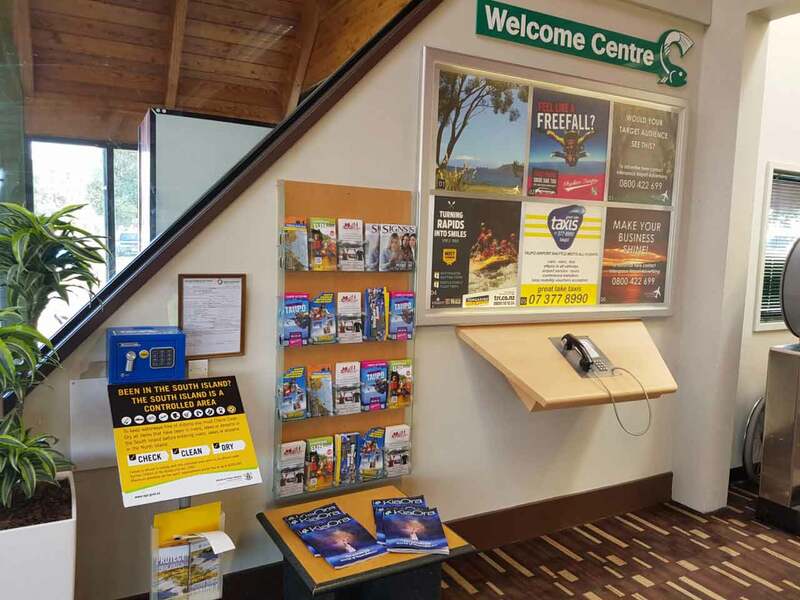 Taupo Airport is located in the centre of the North Island of New Zealand and 8km south of the town centre, next to New Zealand’s largest lake, Lake Taupo. Taupo is a vibrant community with a buzzing café and restaurant scene, varied nightlife and some great pubs and lounge bars. Centrally located on SH1, Lake Taupo covers an area stretching from Orakei Korako in the north, to Tongariro National Park in the south. Here you’ll be impressed with the scenery and amazed at the holiday options available. You’ll find snow capped mountains, an enormous fresh water lake, pristine native bush, steaming thermal areas and one of the world’s only Dual World Heritage Parks. 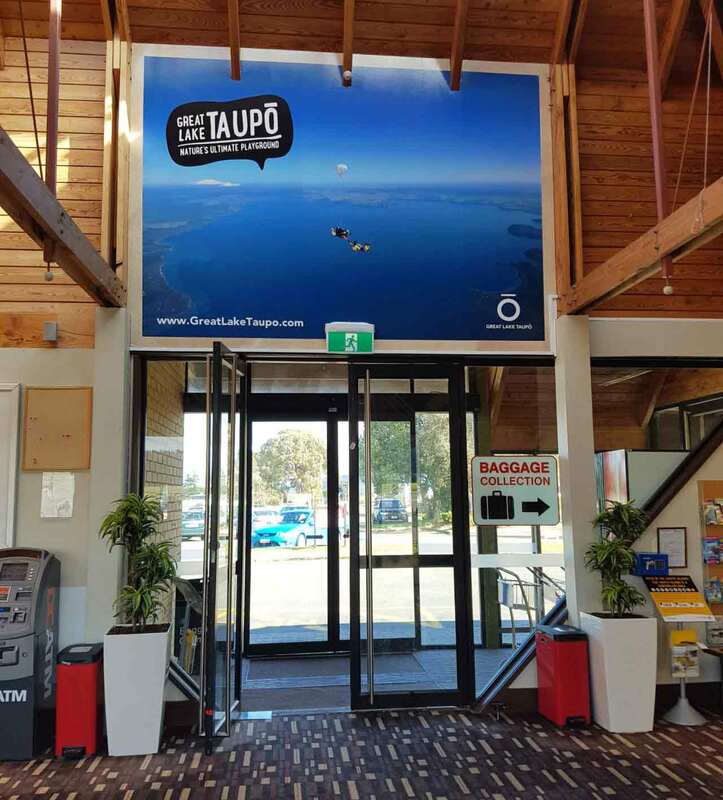 Get in touch to learn more about Taupo Airport Advertising.